The toilet brush is like a necessary evil in the bathroom: required and sensible, but at the same time not pretty to look at. 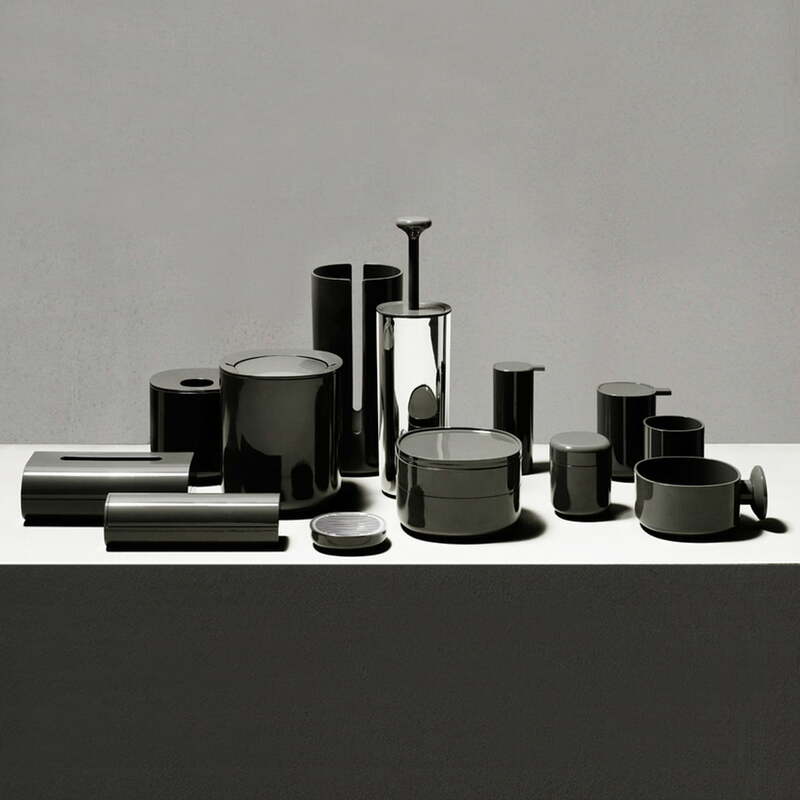 Alessi and Piero Lissoni end this dilemma and present the toilet brush from the bathroom collection Birillo. With its ambitious design, the toilet brush can be presented as a fully-fledged design object by Alessi, which has all the functional characteristics of a toilet brush as required. It just looks better. 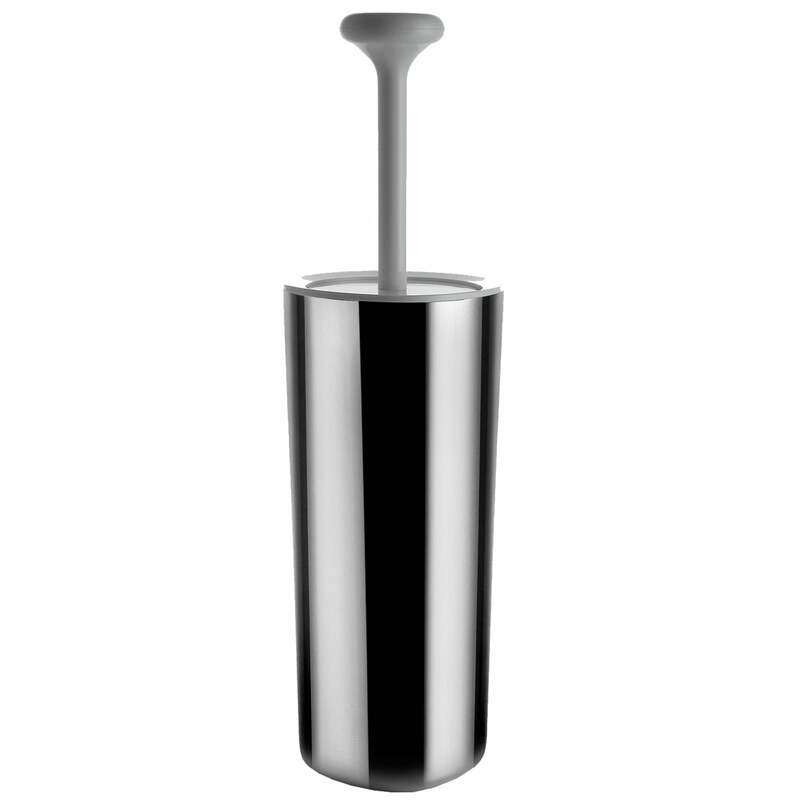 The brush is made of white plastic and is placed in a stand of polished stainless steel. It is not only of very high quality, but also has the benefit of the actual brush not being visible at all in the stainless steel container. When it is not needed, the toilet brush appears as a simple decoration object. But when you need it, it is right at hand. The toilet brush will win you over on its own or as part of an ensemble of the Birillo collection, with its gentle lines, its elegant plainness and the characteristics which let the products of Piero Lissoni's Birillo stand out from the rest of the bathroom accessories: Through the curves on the bottom, the footprint is not visible at all, the objects of the family seem to float, to drift on the flat areas of the bathroom. For Birillo, Piero Lissoni was inspired by the shape of a rounded square, which evolves into different three-dimensional bodies. The designer himself describes the shape as an "imperfect square or completely misshapen rounded form". 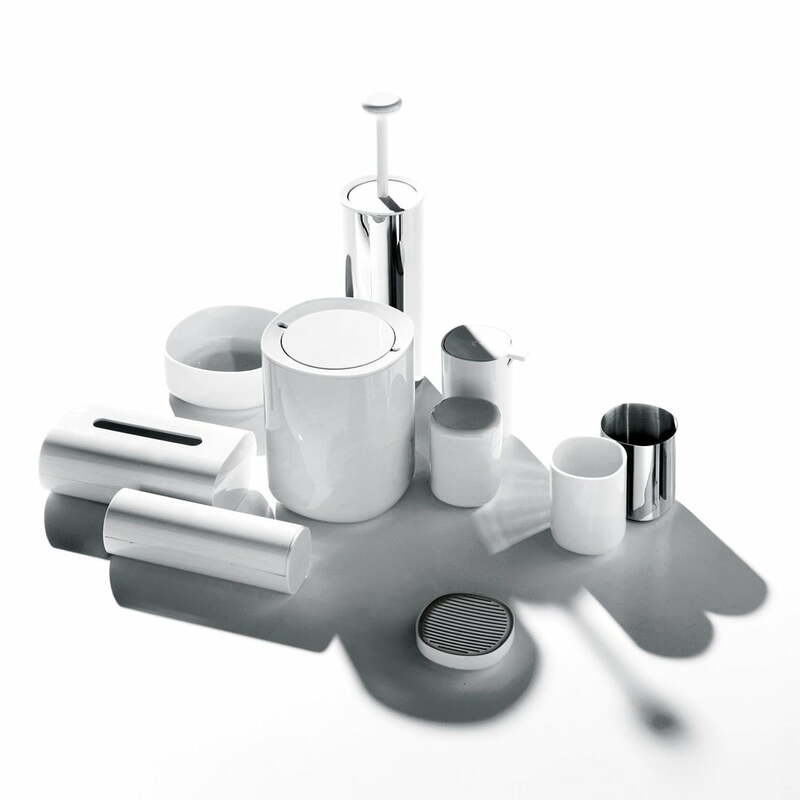 The combination of the materials of stainless steel and plastic (PMMA) also ensure charming visual and tactile contrasts. beautiful and practical like the whole series.